Start planning for your child's or grandchild's future college expenses by establishing a college savings plan today. 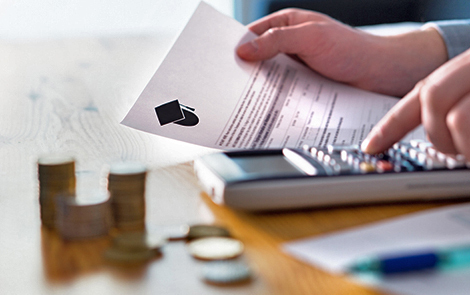 We can help you establish a tax-deductible plan such as an Education IRA or a 529 Plan that is funded with after tax-dollars but earnings that grow tax-deferred, and distributions which are tax-free when used to pay for college expenses. Learn more about strategies to attain your financial goals, such as Retirement Solutions, IRAs, Changing Jobs, Retiring (Rollovers and Immediate Annuities), 529 Plans, Financial Guidance, and Estate Tax Planning. IBC Bank and IBC Investment Services are not registered broker/dealers and are not affiliated with LPL Financial. The investment products sold through LPL Financial are not insured IBC Bank deposits and are not FDIC insured. These products are not obligations of the IBC Bank and are not endorsed, recommended or guaranteed by IBC Bank or any government agency. The value of the investment may fluctuate, the return on the investment is not guaranteed, and loss of principal is possible.